For the past 3 or 4 years now, the Raspberry Pi has been a huge asset to the maker communities across the world. Within the past couple of months, a new, more powerful version of the Pi has come to market and I felt it was time to get my hands one. For those who don’t know, the Raspberry Pi is basically a mini Lynx based computer system that is about the size of a credit card with a decent amount of power to run basic programs for a variety of different applications. One of those applications that holds great interest to me since it first came out though was its ability to run retro gaming emulators, which of course then transitioned into a portable gaming system. The only downside was that the emulation was limited to about the Super Nintendo and prior consoles due to it’s hardware limits. But now, the Pi 2 is on the market with 6X the speed of the original and 2X the RAM. This has made it capable of running PS1 and N64 games at full speed which has now peaked my interest. And the best part, the system itself is only $35. But, this of course is going to have its learning curves. I’ve never even used Lynx and there is a fair amount of coding that has to go into place to make this work as a portable system, but tutorials are vast on You Tube and the only issue I see is going to have the time to do it. I’ve just about completed the N64 portable commission (hopefully closing it up this weekend) and after that is complete, I have to finish off my OUYA project. So it’s most likely going to take some time before I get to this, but I really do want to see how something like this would come out and the designs are already being made for it. So maybe by the end of the year I can start to play around with this, but at this pace I don’t really know how long it’s going to take to get to it. But at least I’ve got the idea in place and we’ll see how she turns out when it happens. If you’re looking for simple retro gaming, the Pi is definitely the way to go. Look into RetroPie if you haven’t already. It’s pretty easy to set up and get started on and in my experience it plays nice with a USB-connected PS3 controller. I’ve got 2 memory cards that I use with my Pi: one with RetroPie installed and the other with the Raspbian OS. I experimented with installing MAME on the Raspbian build and I’ve been able to set it so it boots directly to the emulator. This might be the route you prefer if you’d also like to have a fully functional desktop PC-style experience. Definitely a bit more hands-on than RetroPie though. 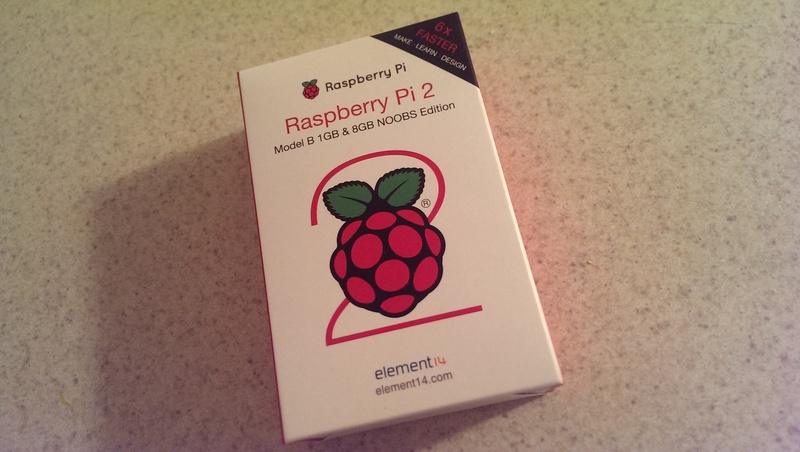 I’m really eager to see how well the Pi 2 emulates N64 and PS1 games. Mario 64 would barely render on my Pi B+. Looking forward to an update on this. Cool! Well I might consult you as I go forward. Gonna be a little while before I get to it but I’m sure your knowledge will come in handy.